KYB has been developed technology and product of hydraulic system since 1935. Those technologies and products are utilized in various segmentation, automobile, motorcycle, construction machinery, airplane, bullet train and so on. It’s our group policy to contribute to society providing technologies and products make life safe and comfortable. Please re requesetd to see HP of KYB. 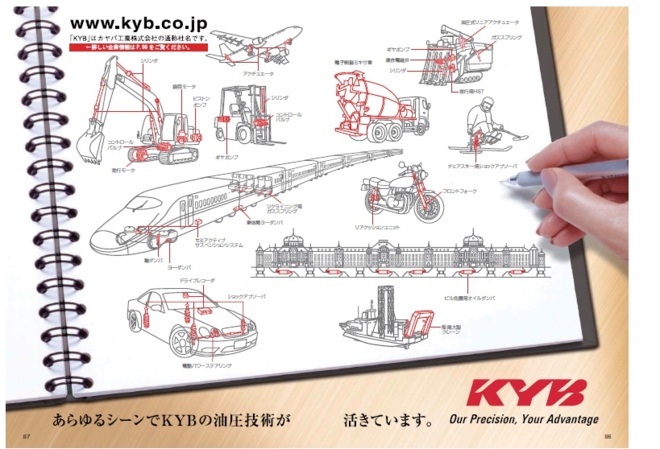 KYB group has many overseas bases in America, Europe, Asia, and Japan. KYB group has 25 overseas manufacturing bases and 26 sales bases in all over the world.